The flexibility of these receivers allows the user to build field data collection systems around specific needs and choices of computer platform with freedom to upgrade as mobile solutions evolve and grow. 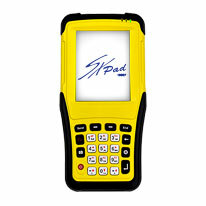 Geneq also offers a complete line of rugged Pocket and Tablet PC’s in the SXBlue Mapper series. 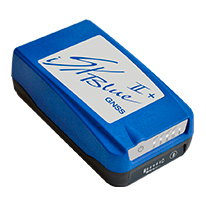 The iSXBlue II GNSS is a palm-sized receiver that delivers real-time, high accuracy performance using GPS/GLONASS satellites and free SBAS corrections for your iPad/iPhone. 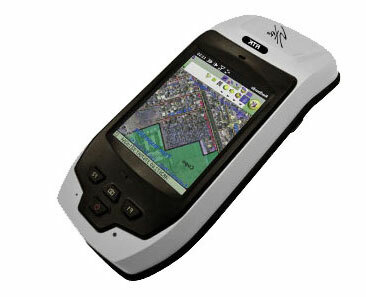 It’s battery-powered lightweight design makes it the ideal choice of a variety of mapping apps including GIS, Forestry, Mining, Utilities, Agriculture, Surveying and Environmental, at a price you can afford. The SXBlue II + GNSS uses innovative technology that delivers high accuracy in real-time, all the time. There is no need for post-processing or other correction source when SBAS (WAAS, EGNOS, MSAS or GAGAN) are available. Powered by its 372 channels, the SXblue Platinum uses all-in-view constellations with multi-frequency and it offers the ability to use a global or local coverage of corrections (SBAS, L-Band and RTK). 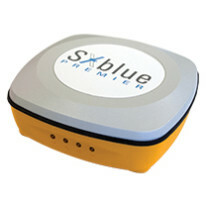 SXblue Premier GNSS receiver uses market-proven Pacific Crest Maxwell 6 technology (BD910 OEM board) to provide 220 channels and unmatched GNSS multi-constellation tracking performance, and makes effective use of GPS, GLONASS, Galileo, BeiDou, QZSS and SBAS signals for outstanding satellite coverage and highly precise positioning. 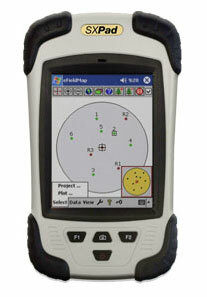 With the SXPad, high accuracy GIS data can be mapped in less time with less effort. 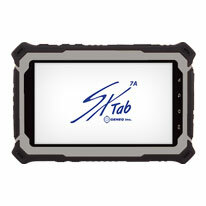 The rugged, lightweight SXPad is the simple and total solution to your biggest GIS mobile application challenges. The SXPro RTK is a rugged «All-In-One» professional grade GNSS & RTK Data Collector with 220 Channels of multi-constellation designed to achieve real time sub-meter SBAS positioning or centimeter accuracy with RTK networks.